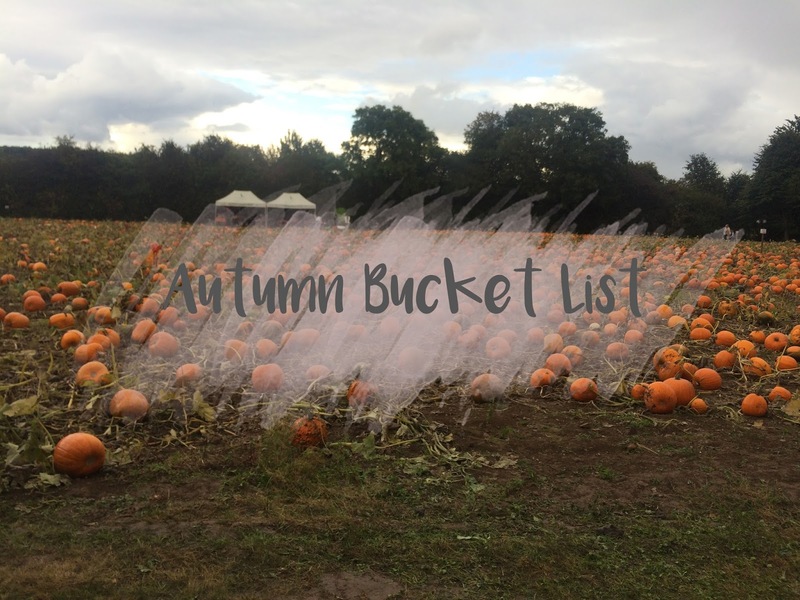 As I now feel we're in the grasp of Autumn, I wanted to share my bucket list for the season. I've never done one before, I'd always had hopes of what we'd do over the coming months, but never thought to write them down, although I really like that idea because I feel I'm slightly more inclined to do them then. The lovely Emily over at My Petit Canard did a fantastic bucket list so it really inspired me to do our own, I truly want to embrace the last of the warmer weather before it's an ensemble of wellies, coats and hats before we can even leave the house. Here are the few little bits I'd like to do this Autumn, and hopefully I'll get some crossed off along the way. And that's my to do list for the coming months, it might not seem like much but I didn't want to set things that we most definitely wouldn't achieve. I'm really keen to ensure me and John have a movie night, or weekend, we did so a couple of months back and watched a horror movie triology over 3 nights, it was so much fun to both just relax with no devices glued to our hands. The zoo really isn't far from us, so I am desperate to get Noah there before the weather gets too cold to bare. Do you have any plans this Autumn?